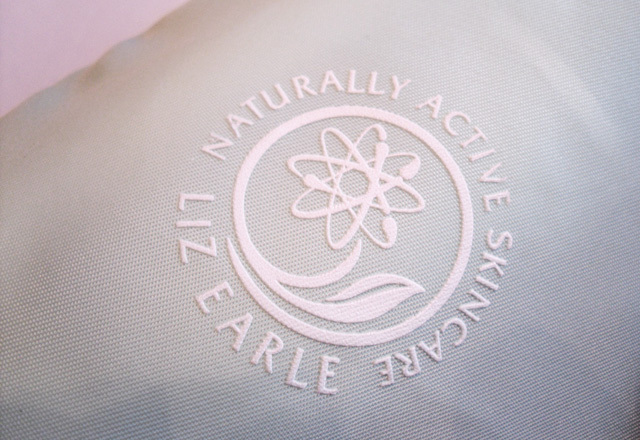 I know, I know, ANOTHER Liz Earle review by a blogger, wow how original. But I was actually a bit surprised to be sent this Cleanse and Polish from Liz Earle, because I only sent them an email asking if it was actually suitable for dry skin which I tend to suffer from in the winter months. Rather than actually answering my question, it seemed that their reply was an automated response which confused me a little, but none the less I've been keen to try the product because of the blogging hype that surrounds it, so of course I was pleased to accept it. I've been using it twice daily for a week now and I do really like it, and it's incredibly easy to use. You just rub the cream all over your face to loosen and melt away all the makeup, then buff it off with a warm wet muslin cloth that comes with the product, and it takes away everything. Rubbing your eye makeup off without a cotton pad or anything feels a bit odd and leaves you looking like a complete panda if you wear anything like as much as I do, but the ease with which the cloth removes it is pretty amazing. It really is that easy, and literally takes about 3 minutes which is a nice change from scrubbing away with normal drugstore bottle cream cleansers. It doesn't leave the horrid dry and tight sensation that a lot of cleansers are guilty of, particularly makeup wipes, and there's no redness from constant rubbing and scratching to scrape makeup away. I'm not hugely keen on the scent, and the grossness of the muslin cloth after you've used it to remove the makeup is a bit grim, but other than that, I'm totally impressed by its thorough cleansing. I'm not sure whether I prefer it to the Shu Uemura cleanser which I raved about a few posts back, as they're both really effective but very different products. 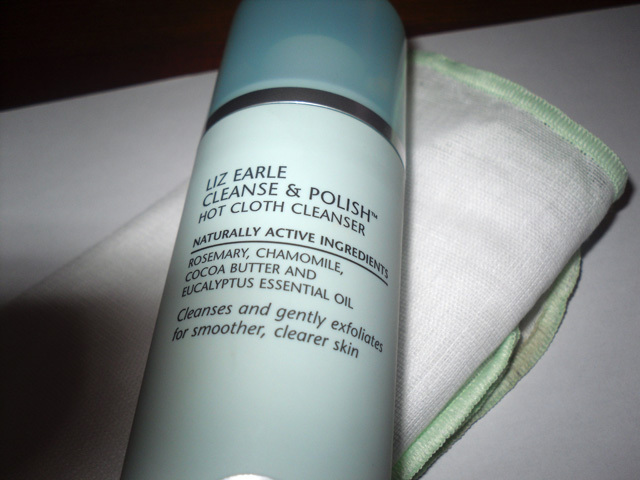 Either way Liz Earle has definitely secured its place in my cleansing routine! 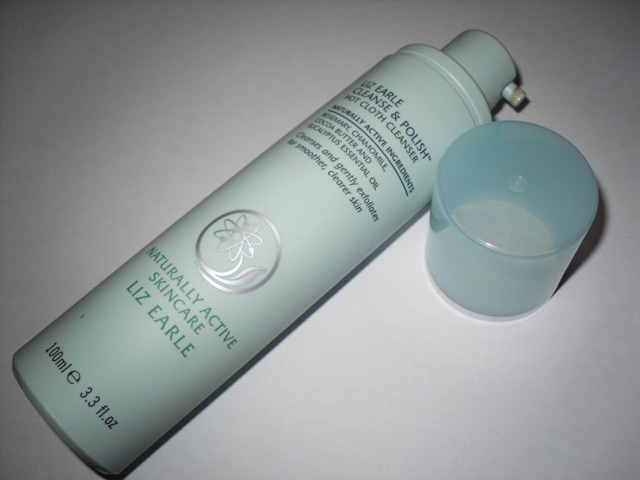 Have you tried Cleanse and Polish, or any other Liz Earle skincare products? Are you intrigued or put off by how much its passed around the blogging circuit? Ohh glad you got to try it out too! It's a great cleanser, i'd really recommend their toner too. I was quite surprised how generous their PR people are, especially for such an established company! I'm so tempted but I'm not too sure, I want to try soap and glory and no.7's cleansers too, oh and botanics!